The workshop, which was conducted for one and a half day from 29th to 30th of August 2017 in Courtyard by Marriot Bangkok, aimed to equip the participants with valuable insight and skills into communication theory, practices, and strategies, as well as with various creative ways of engaging their stakeholder through corporate branding, corporate publications, community engagement, online presence, media liaison, public relations and corporate advertising. The participants consisted of 25 MSA community advocates from 15 MSA country partners and their downstream CBOs. The workshop curriculum was divided into: (1) Introduction to Non-Profit Communication Strategy, (2) Understanding the Role of Branding in Non-Profit Sector, (3) Media Liaison, Public Relations and Community Engagement and (4) the Role of Online Platforms to Profile the Organisation and Its Works. Each of the lectures was accompanied by individual/group exercises and/or hands-on masterclass. 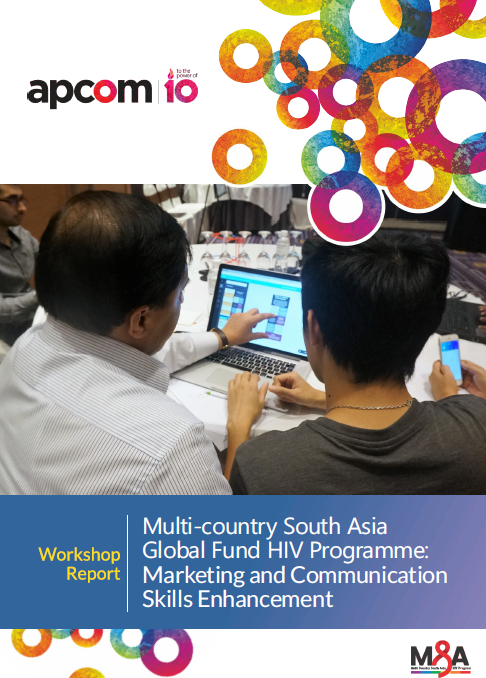 The facilitators of the workshop were APCOM’s Communication and Partnership Unit staff and UNFPA Asia and the Pacific’s Regional Communications Advisor Roy Wadia. Solely based on the pre- and post-test score dynamics, a knowledge increase on the topic of Workshops occur with all of the participants, ranging from an increase of one (1) to six (6) points.